The Big Wobble: So Called "Experts" Are Paid To Tell Us Fukushima, Chernobyl, And Three Mile Island Nuclear Power Stations Will Always Be Safe! So Called "Experts" Are Paid To Tell Us Fukushima, Chernobyl, And Three Mile Island Nuclear Power Stations Will Always Be Safe! The latest university study shows an increase in levels of Fukushima-related contamination off the shores of Alaska. Other studies have shown increased levels of radiation off the coast of Oregon and California. A study by the University of Hawaiʻi at Mānoa revealed almost 50% of fish consumed on the islands of Hawai’i were contaminated with caesium 134 the radioactive finger-print of Fukushima. The recent findings as you might expect are being played down and the usual sound-bites are telling us "it's nothing to worry about," something the powers that be have been saying for 8 years now.The 2020 Olympic Games is allowing the Japanese government to focus on the games while their unsuccessful attempt to clean-up the ongoing spread of leaking radioactivity from Fukushima approaches its first 10 years since the disaster. They keep on telling us all is well and Fukushima is actually nothing to worry about but the experts who keep on telling us everything is ok are actually being paid to say exactly that! Mr Shellenberger is the president of a pro-nuclear lobbyist group called Environmental Progress that advocates for extending the life of the old and soon-to-be-retired nukes for an additional 40-years, even though each atomic power reactor was only designed for a 40-year lifespan. On its website, in addition to its pro-nuke work, Environmental Progress claims that they are independent and not funded by the nuclear industry because their only funders are Rachel and Roland Pritzker, of the Pritzker Innovation Fund (PIF). For those that are unaware, the large and extremely wealthy Pritzker family includes 11 billionaires. Altogether the various family members have a net worth of more than $30 billion! Now that we’ve addressed the lapses in Mr Shellenberger’s nuclear power engineering and environmental science education, let’s look at the false facts raised in his pretend science article. First, this puff piece for Forbes Magazine tries to discredit the assessment of noted paediatrician and children’s advocate Dr Helen Caldicott, who projected close to 1 million people died due to the Chernobyl meltdown. Mr Shellenberger uses nuclear industry numbers to attempt to claim that the impact of Chernobyl on the environment and to all species involved was minimal, a typical follow the playbook created by industry lobbyists. However, independent scientific research published by the New York Academy of Science in a book entitled Chernobyl: Consequences of a Catastrophe for People and the Environment proves that Dr Caldicott’s estimate is far more accurate than the fake data that Forbes Magazine allowed Shellenberger to promote. 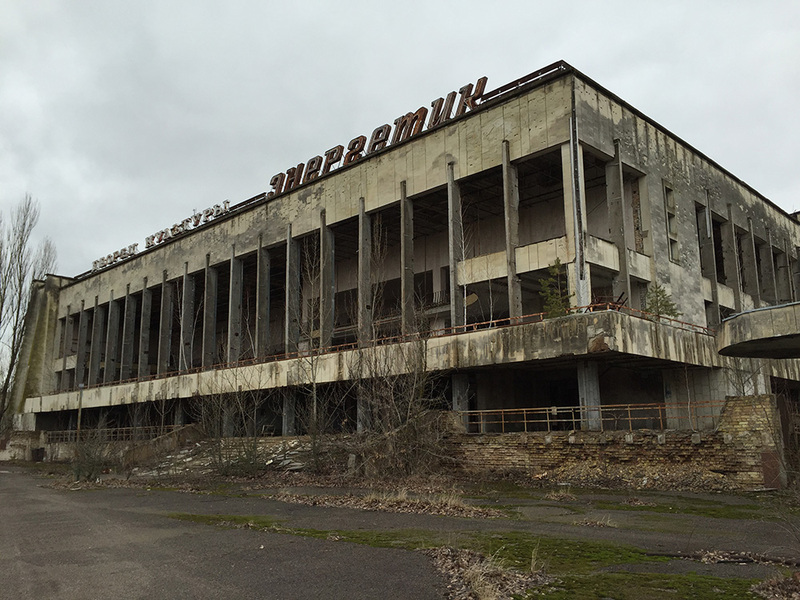 In Chernobyl: Consequences of a Catastrophe for People and the Environment the New York Academy of Science confirms and discusses the real scientific data as it was prepared and studied by Dr Alexey Yablokov, Dr Vassily Nesterenko, and Dr Alexey Nesterenko. A separate scientist, Dr Yury Bandazhevsky, was jailed after publishing his scientific report on radiation-induced heart disease in children. The disease, aptly named Chernobyl Heart, brought to light the cover-up by the Government of Belarus and has taught doctors around the world about the impact of Cesium, which is absorbed into muscles and damages children’s hearts and other muscles. Caesium also crosses the placental barrier and damages babies in utero. Dr Yury Bandazhevsky was imprisoned for four-years in Belarus until the public outcry from the European Union sparked his release. He currently lives in the Ukraine where he continues his work. An entirely different scientific study conducted by noted United Kingdom scientist Dr Ian Fairlie, who completed his PhD at Princeton University, shows that 5-million people still reside in highly radioactive areas and that there has been an increase of 700% in cases of thyroid cancer and a 200%-500% increase in Leukemia cases. All one needs to do to see the lingering effects of Chernobyl and the damage that radiation has caused in Chernobyl is to look at the haunting photo gallery entitled Chernobyl Legacy: Radiation Poisoning taken by photographer Paul Fusco a little more than a decade after Chernobyl. Mr Fusco also narrates a video of his photographs from his trip to help to provide context. There is also a short documentary by the name of Chernobyl Heart which chronicles the effects of the Chernobyl nuclear disaster on the health of children in the area of the plant. The film won the Best Documentary Short Subject award at the 2004 Academy Awards. You can watch the heart-wrenching film above. Unfortunately, instead of speaking truth to power, Forbes Magazine has allowed self-promoting industry data to be used in this infomercial while actually discarding real scientific independent peer-reviewed research. The 40th observance of the March 28, 1979 meltdown at TMI begins tomorrow, Saturday, March 23rd at the Pennsylvania State House and culminates in a presentation at Penn State on March 27th. The first of the commercial nuclear power meltdowns was anything but a dream for the real people living nearby. Many residents were exposed to high levels of radiation because the plant owners outright lied to the Nuclear Regulatory Commission, President Carter, and Pennsylvania’s own governor so that all those government officials failed to issue a timely evacuation because they did not know that a meltdown was even in progress! While the United States Nuclear Regulatory Commission data claims that no one died from radiation emanating from TMI, independent research shows this is simply not true. Studies by epidemiologist Dr Steve Wing show that cancer rates in the surrounding area significantly skyrocketed following the meltdown at TMI. You can listen to Dr Wing talk about his studies and the implications from a video taken at the Pennsylvania State Capitol on March 26, 2009. Fairewinds Energy Education also has a video of the 38th commemoration presentation Arnie Gundersen gave in Harrisburg, Pennsylvania on its website [fairewinds.org]. In this video, Mr Gundersen discusses the significant errors in data claimed as accurate by the Nuclear Regulatory Commission (NRC). Yet Shellenberger relies upon the scientifically refuted data promoted by the NRC for his Forbes Magazine nuke power promotion piece. The victims of Fukushima Daiichi and the hardships that they have endured during the past 8-years, as well of the physical and emotional traumas they have suffered, are facts the refugees will live with for the remainder of their lives. The fact that the triple meltdown at Fukushima Daiichi was foreseen and preventable and proves that the blame should be firmly placed on TEPCO and the nuclear power industry for allowing TEPCO to get away without constructing the government mandated seawall. More than 1,000 years of documented history about tsunamis were ignored when an entire mountainside was cut down so the Fukushima atomic power reactors could be built near the shoreline giving them easier access to cooling water. Now tens of thousands of refugees are facing decimated cities and farms, and the destruction of their families and communities as they struggle daily to protect themselves, their children, and even their grandchildren from extensive radiation exposure. As Fairewinds peer-reviewed research shows, as well as a separate study, highly radioactive hot particles that are severely dangerous, are present in many parts of Japan and continue to be inhaled. As discussed in our recent blog post-Atomic Balm Part 2, even after areas have been cleaned of radioactive material, it is only a matter of time before radioactive particles born on the wind or washed down from radioactively contaminated areas migrate back. The first problem is with the government of Japan’s clearance criteria that only areas in and around homes have been allegedly decontaminated. I measured radiation along highways and then 50-feet into the surrounding woods, only to find that the woods remained highly contaminated, so that when it rains or snows or the wind blows the dust or pollen from the woods, that radiation migrates back to people’s supposedly clean and radiation-free homes. I went to the top of 4-story high rooftops in Minamisoma that had been completely cleaned and repainted following the meltdowns. These rooftops were recontaminated by dust on the wind, blowing in radiation from the surrounding mountains. Peoples’ homes and communities that were claimed to be clean are indeed being recontaminated every day.